Home Bumper to Bumper 2018 Chevrolet Silverado High Country – Driving in High Cotton! 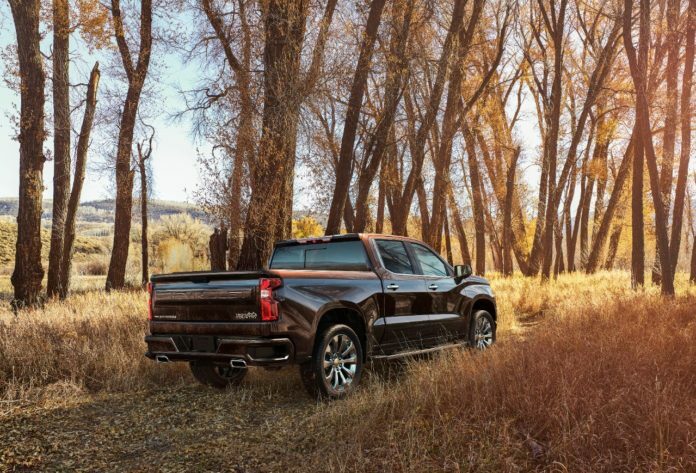 Every amenity – every option – every luxury appointment…All are at your beck and call in the new 2018 Chevrolet Silverado High Country. I was blessed to spend a week with a four-wheel-drive crew cab model this May and found it answered every need I could imagine. My model even came with a beautiful Tonneau cover as well as the fantastic cell phone holder I enjoy so much … a feature which has yet to appear on any other vehicle I have test driven to date. Since many vehicles still don’t have it, I have to mention the on-board hot spot. It makes any trip much more enjoyable, even if I don’t use it while driving myself. I still remember when General Motors first put the hot spot in its vehicles. I was driving a new Camaro from Detroit to New York in a launch event. My drive partner had taken over the wheel and I decided to write my review of the way this new vehicle handled and how smooth the ride was while he drove. I saw that it had the hot spot, fired it up on my laptop and posted the article “on the fly.” That sold me. 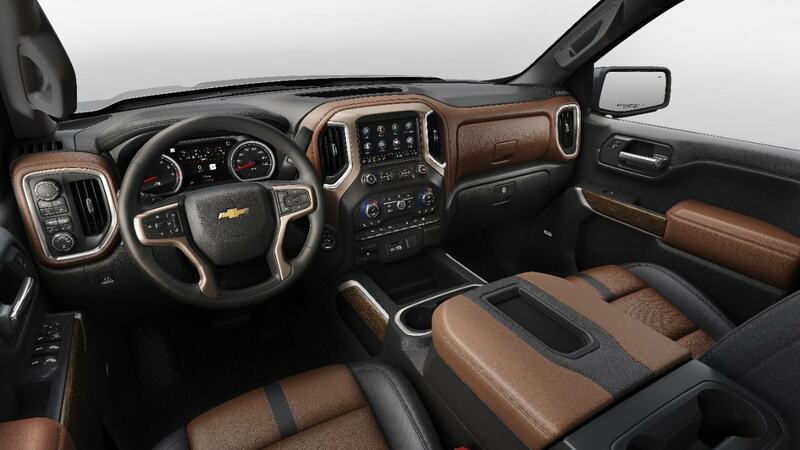 The all-new 2019 Silverado High Country interior features more passenger room, more storage space and more functionality — all the things that customers were clear they want. Every surface has been designed for function and ergonomics, from the rotary knob textures to the infotainment screen angle. Of course, there are lots of other features built in to the new 2018 Chevrolet Silverado High Country. On the outside, there is the convenient rear bumper cornerstep so one can climb into the bed without having to bring a step ladder on to the scene. Plus, the tailgate glides open and closed due to the Chevrolet EZ lift and lower feature. One can even lock the tailgate remotely, making it theft proof. The heated side mirrors can be adjusted making it easy to see what is coming up on both sides of the truck … although the lane assist-lane departure-collision alert-blind spot alert features insure a top level of safety while driving. Another important safety feature is the rear vision camera when one shifts into reverse in any parking lot – this has saved me from backing into someone more times than I can count. Thankfully, Hunter and McKenzie have yet to enter their teenage years, but those with children who now have their licenses a special General Motors Teen Driver mode can be employed to let parents know that the Silverado is being driven safely and where it is at any point in time. MY test model does not come cheap – the MSRP weighs in at $61,320, but there are even side benefits built in to the price. The Chevrolet Complete Care package with two maintenance visits and more is included as is the complete Bumper to Bumper three year 36 month warranty and Roadside Assistance. This model is available now at local dealers everywhere so test drives are quick and easy for those in the market for a new truck. Oh yes, for those who wonder about the “High Cotton” mentioned in the headline for this article. It’s a southern term … High Cotton is the very best one can expect, and this Silverado certainly fulfills that concept!